EA, in an attempt to make their NBA game franchise better than 2K’s, have run simulations in NBA Live 18 to determine who would win out of tonight’s offering of basketball games. 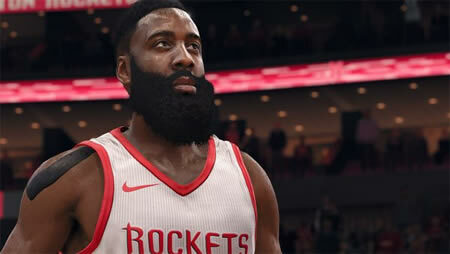 EA Sports ran game simulations of the Boston Celtics vs. Cleveland Cavaliers and Golden State Warriors vs. Houston Rockets games, each with “potentially league-shifting implications” if the sims turn out to be correct. Also, if these turn out to be accurate, this might have some really odd implications on the sports betting market. And will definitely see the end to your Fantasy leagues. • Dwayne Wade: 21 points, 5 assists, 5 rebounds – Flash is back to his original form! • Derrick Rose: 9 points, 13 assists, 5 steals & 3 rebounds – D.Rose played the role of a true floor general. • Al Horford: 29 points, 16 rebounds, 3 blocks – Horford was a beast in the low post offensively. Still wasn’t enough for the Win. For more NBA Live 18 News Stay Tuned At our site Mmocs.com here you can get NBA Live 18 Coins with cheapest price.